Parineeti Chopra to replace Sonakshi Sinha in Salman Khan’s Dabangg 3? Actress Parineeti Chopra is being considered to star in Salman Khan’s Dabangg 3 as main female lead, according to latest buzz. 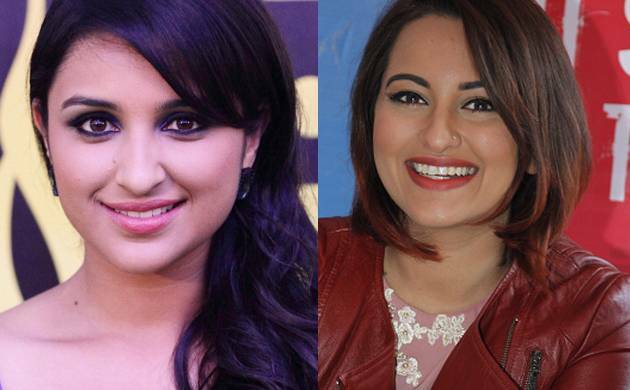 Rumour has it that Sonakshi Sinha won’t play the role of Rajjo in the third instalment. According to a report in Spotboye.com, Parineeti Chopra might play Rajjo in Dabangg 3. "Arbaaz Khan producer of Dabangg 3 feels that Parineeti would be suitable for Rajjo's role (played by Sonakshi Sinha in the previous two installments). He will approach her very soon," Spotboye quoted a source close to Salman Khan as saying. It was reported earlier that Sonakshi Sinha had an alleged friction with Salman Khan following which she was dropped out of the movie. It all started when Sonakshi refused Arbaaz Khan's production Dolly Ki Doli. The duo is reportedly not on talking terms since long. Previously, a source was quoted as saying, "Salman is not keen on working with Sonakshi. So, the producers are looking out for another actress. Nobody has been finalised yet."